What is an E-Commerce Website and How Do I Market It? E-commerce (electronic commerce) refers to the process of doing business via electronic networks, specifically the Internet. Contrary to what many people know, e-commerce is not only limited to setting up an online shop or buying and selling on the Internet. It actually includes taking advantage of mobile phones, email addresses, and social media technologies to conduct business.The goal of e-commerce also includes finding a more effective way to settle a transaction, to gather, store and share data, and to market a brand. Start Selling Online With an E-Commerce Website. But Don’t Forget About Marketing. Nowadays, most businesses operate online, and regardless of the size of the company, it is said that engaging in e-commerce is one of the best ways to cut costs and gain exposure. The best way for you to grow an online presence and promote your brand online is by setting up your own website. Contrary to what people think, the process is quite easy to understand and executing it will be manageable enough as long as you have enough skill and resources. Having your own website means you have control over all aspects of the page, from the SEO to the design, and your actions won’t be bound by policies. If you would like to try your hand online, but you are not yet sure where and how to start, there are plenty of e-commerce service sites, such as SquareSpace and BigCommerce, which will help you get started with E-Commerce. Several sites like Facebook, which we will discuss later on in this article, will also allow you to create business pages, provided that you can adhere to their policies regarding business. Before continuing, we just want to be clear that we’d always recommend that you have your own domain name and that you should have full control of your website. We only recommend a third party hosted site when there’s no other option. Some of our reasons will be discussed within the Google+ Community. How Can You Create an E-Commerce Site? Much like any business, it starts with your brand. How do you want to be perceived? What’s your unique selling point? 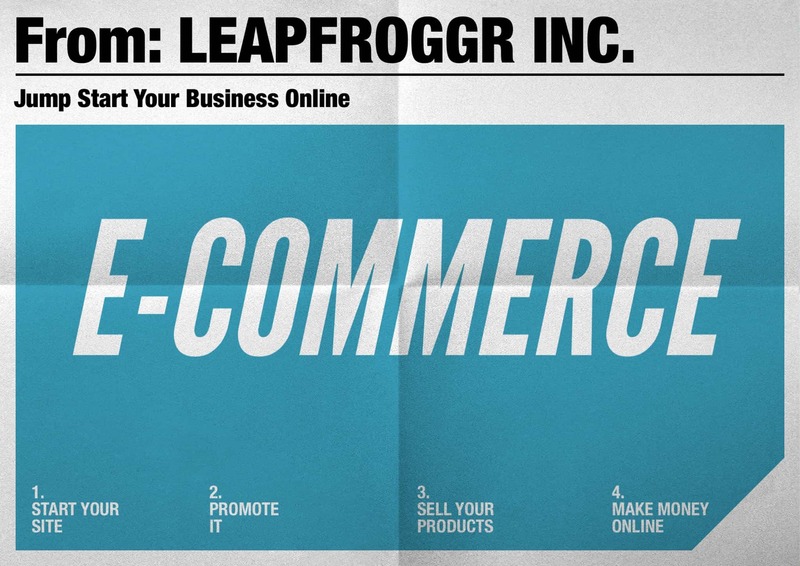 We’ll leave that to you as we are going to jump directly to creating your e-commerce website. We’d recommend that you plan out all the aspects of your website, from how it looks down to the features that will maximize your customer’s experience. It’s better to ask yourself questions on how you can reach your business goals. Find design inspirations and list down what you like about them. Visualize what you’d like to have on your website, and don’t forget to ask yourself: What, When, Where, How, among others. What is your brand’s identity? Who is your target demographic? Can people place their orders directly on this website? What modes of payment will you accept? How will you display your goods? How many products will you have? Will the CMS (Content Management System) I choose be able to handle the amount of products I have? When do you plan on launching the site? Where and how will you promote your new website? Can you manage the technical aspects of running a website? About your CMS: A lot of companies will prefer to use a custom developed e-commerce website for full control. It will certainly be more costly and will take longer to finish. If you are a small business or a startup, I would recommend that you look at the number of products you will be selling. If it’s a low number, then we’d suggest that you start off with WordPress. If you have thousands of products, then Magento is the way to go. It’s a bit harder to learn and optimise for search engines but it handles the products database really, really well. How about PrestaShop and other types of CMS? We’ll discuss it in the G+ Digital Marketing community. Once you’ve come up with justifiable answers to your business-related questions, it is now time for you to register your business’ domain name. Hopefully, at this point, you’ve already settled on a unique business name that hasn’t been registered as a website yet. You can easily look for companies online that will help you with the domain registration process. These “registrars” include NameCheap, Name.com, Godaddy, among others. Registering a domain can be pricey, depending on what you purchase along with the domain name. It could also be that your domain name has been taken already and they could be selling it for a higher price. Tip: If you are going to use notorious registrars like Godaddy, please be careful with the add-ons they push. Just get the domain name and the privacy add-on. Also, there are coupons online (Google it) for you to avail of further discounts or freebies. Once your payment has been verified, you need to get yourself a host. Much like any website, when starting an E-commerce site, you need a server to host your online storefront and your files. There are different types of E-commerce hosting companies. Basically, here are the main ones. Companies that provide a platform like Shopify, SquareSpace, Yahoo Small Business and BigCommerce (among many others) are well suited for those that want to start as quickly as possible. These services help aspiring businessmen to set up an online shop by giving him everything that he will need to create a website. This includes a Web server, a basic website design template, catalogs, and other tools for transactions. Most of the time, the package that e-commerce hosts offer already comes with a guide on how you can customize your page, insert shopping carts, manage various payment modes, and organize your inventory. The downside for this is that it’s more expensive monthly and it’s very limited, design-wise, which makes it harder to efficiently optimise for search engines. Web Hosting – There are services that specifically server e-commerce websites but any host will do. We’d recommend using a Cloud server so you can adapt your plan as your traffic grows, with no down time. You can also get a dedicated server which is definitely more expensive but brings you more bang for the buck once your traffic and bandwidth is high enough. This is always our recommended route. You’ll have more options, including choosing the CMS you feel comfortable with, you have full control of the design (web designer/developer required if you don’t want to bother learning this) and if you plan to put up a blog area, you can create content easier as some e-commerce platforms are harder to blog on. That’s it! Assign your host to your domain name and your website is good to go! Now comes the hard part, what you need to do now is to build the content of your website and then, start growing your online presence so you can make sales. Again, you can either ask a web designer to help you create a layout for your page, or still choose to do all these things on your own. This is the time when you can start to make your visualizations come alive on the page. Of course, in order for you not to miss some details of your design, you may want to first draft an outline or a site layout on a piece of paper. It’s fine to take your time with planning the design, since this is also the right time for you to consider optimizing your user interface and experience for SEO. Make an outline based on the key items that you want your website to have, starting with the number of pages you think your website will need, as well as the content of each page. While it may be a good idea to put in a lot of pages to ensure that people get all the information they need about your products, make sure that these people won’t have a hard time navigating back to your homepage. Placing links where necessary is a good way to avoid dead ends. Finally, when you are finished with the actual content of your website, it is time for you to design it in any way you want. Just make sure that your designs and color choices are not so loud that people will immediately be turned off. It’s actually a reason why many sites have failed. Since Facebook is a social networking site, you will be given more room and opportunities to interact with your followers. As an e-commerce site, Facebook enables you to improve your customer service. When a follower posts his inquiries on your wall, other people can see this, too. So when you answer these inquiries, you are not only helping that one follower, but you are also showing your other followers that you care. Facebook will also encourage you to get to know your followers on a personal level, not just on a professional level. This social platform is an ideal place for you to build your trust and credibility among clients. A great feature of Facebook is that people are allowed to like, comment, and share almost everything. When a follower likes your posts, he will likely share it with his friends, who in turn could like and follow your page. You can also learn a lot of things about the business and your customers by reading their comments. More often than not, you will get tips on how to improve your products and services by reading these comments. Facebook, in itself, is an advertising tool that you can use to introduce new products and give announcements. Aside from this “free” marketing, Facebook also gives you tools that will help improve your advertising. Check out Google Places and AdWords Express. Facebook is a great way to gain followers and lead them to your official website. For payments, you can use a Facebook app (Note: We also develop apps for iOS and Android) or service to be able to transact directly from the page. You can also have it done manually by sending them an invoice via an invoicing software or through Paypal. Quick Note: We love Facebook as a marketing channel but not as an E-commerce website. There are a lot of people that has seen success with this but as you do not “own” Facebook, they can terminate your page anytime making you lose everything you’ve worked on. This holds true for blogs hosted on free blogging sites like WordPress.com, Tumblr and Blogspot. On the other hand, for those who are still unsure about using social networking sites to set up their businesses, there are several other outlets that will let them sell their products without having to worry about SEO and web design. Who hasn’t heard of Amazon and Ebay? Both sites already have a large following, and both enjoy millions of visitors regularly. A businessman can easily create Ebay accounts and/or register as an Amazon professional to be able to do business. We’ll talk about this more in future blog posts. Etsy and Ticktail are also examples of e-commerce websites that allow people to set up their online stores within their websites. An advantage that these two share is that they let businessmen create shops using their business’s preferred storefront and domain name (storename.ticktail.com or etsy.com/shop/storename). Thus, customers can just easily visit these domains without having to actually go to Etsy’s or Ticktail’s main page. Both also offer tools that will help the shop owner to customize his store and manage his traffic efficiently. We can also hook you up with our E-commerce solutions service so if you have any questions about e-commerce, just let us know. 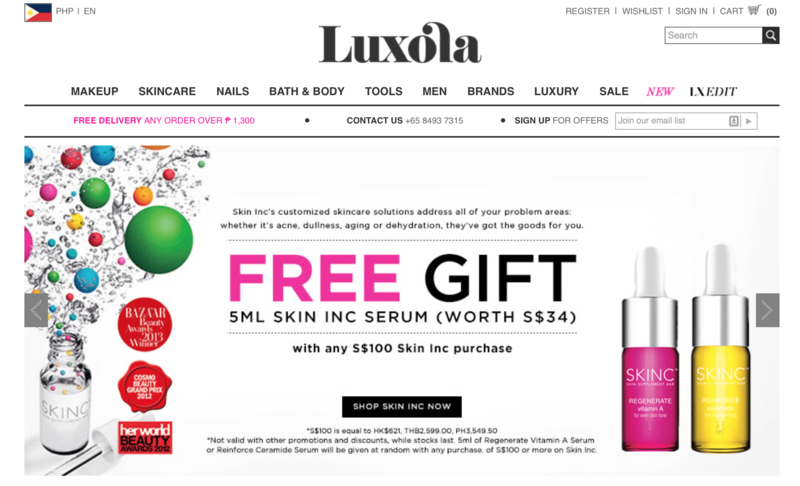 Luxola does a great job with their e-commerce websites. How Can You Spice Up Your E-Commerce Website? If you don’t have one yet, you should create a logo for your business and use this as your trademark. Having a logo will make your business look more credible and authoritative. It also helps to brand your company. When coming up with a logo, make sure to keep it clean and simple. Occasionally, you may want to give promos and discounts. You can also offer freebies to regular customers. In case you have an actual store, you can use your e-commerce website to give exclusive deals to people who have come to your store from your website. Huge discounts are a great way to clear your store during “Everything must go” sales. Make sure that your products are organized by placing them in categories. You can also categorize them by brand. 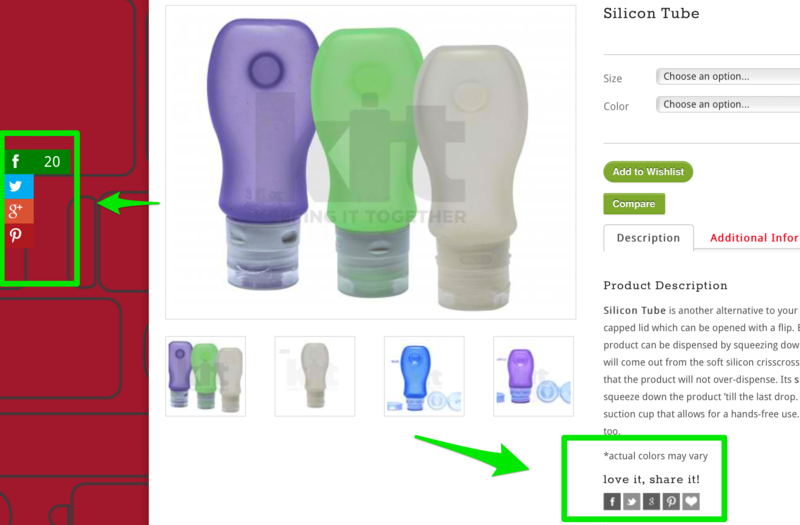 From time to time, if you have new products, you can give spotlights, maybe showcase them for a month. Always keep the content of your website fun and fresh. You can easily do this by giving more focus on your web design, as well as updating the main page of your shop regularly. Make sure that your customer can easily get the information that they need from your front page. For instance, even if your products are already categorized, you may want to add a “Search” box for a customer to save time. If your store has multiple branches across the country, add a “Store Locator”. Don’t forget to make your contact details visible, as well. For e-commerce sites that allow customers to shop directly from the website, a shopping cart is vital. At the main page, at the very bottom of the page, it is also wise to show the kinds of payment modes that you accept. The first one would be OLX PH (formerly Sulit.com.ph) which is a classified ads website started in 2006. It is one of the first, widely successful e-businesses in the country, and it is also the most recognized online classified ads (with store-front) in the Philippines today. The site works by encouraging people to register, and then posting pictures and descriptions of the items that they want to sell. Interested buyers can also register just for the purpose of communicating with the seller via private messaging features. Another e-commerce site in the Philippines is Cebu Pacific Air, which is an airline company established in 1988. It is one of the first airline companies that allowed people to reserve and purchase tickets online. Reserved tickets should be paid within 24 hours or the reservation will be cancelled. The e-tickets can now be paid via credit cards, bank deposits, and payments made through given centers. Cebu Pacific is famous for offering local and international flight promos. For instance, the company became well-loved by the Filipinos when it regularly offered “Peso fares”, which is something that other airline companies are not yet doing today. Peso fares keep Filipinos on edge, and they are motivated to visit cebupacificair.com regularly, sign up for it newsletters, and like its social networking pages, just to be informed about the latest deals. 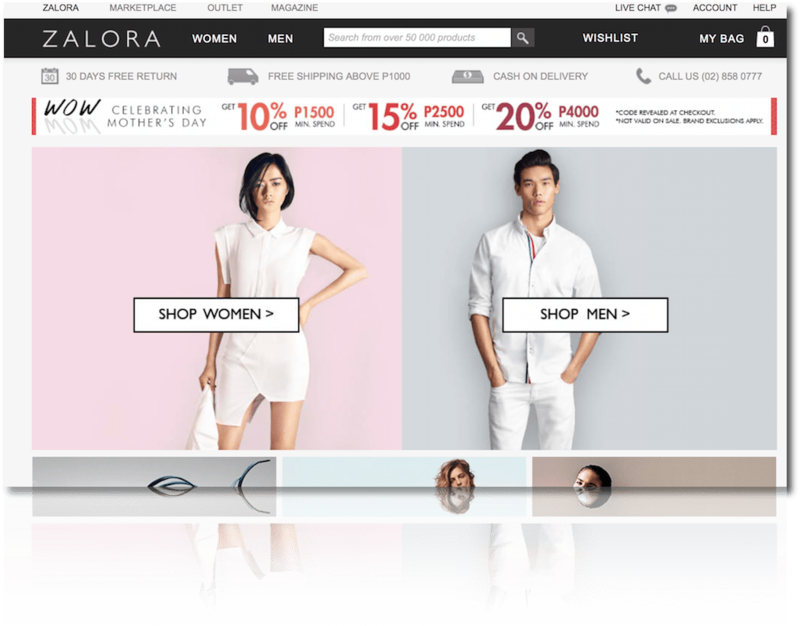 Zalora did a great job building their online visibility. Digital Marketing has a lot of different aspects but SEO, or search engine optimization, plays a leading role in the promotion of your e-commerce website. Thus, it is recommended that once you’ve started designing your website and inserting its contents, you will do so with SEO in mind. This is particularly important if you have hired both an SEO agency or professional and a web designer for your site. It is crucial that they begin work together and know how this particular placement can not only make your site look better, but also more searchable in terms of page rankings. Keyword optimization – The rule here is to carefully pick out keywords and place them in strategic areas of your page (e.g. title of post, header, product descriptions, URLs, photo and video tags, etc.). Be careful of how your meta tags and descriptions will look and sound like. Remember that these are very useful in attracting people to click on your links. You see, when search engines show results, there will be text that accompanies the link to the page. These are the meta tags, and you will need to edit the text in such a way that it will be useful for the searcher. Consider meta tags a summary of what one might find inside the page. If netizens see that the summary is relevant to their searches, then they are more likely to click on your link. With keyword optimization, there are also certain things to avoid, such as keyword stuffing. While it is fine to strategically place keywords on your page, it is advised not to overdo it. When you add your keywords, make sure they make sense and that they look natural, as opposed to adding keywords that make sentences difficult to understand or completely useless. 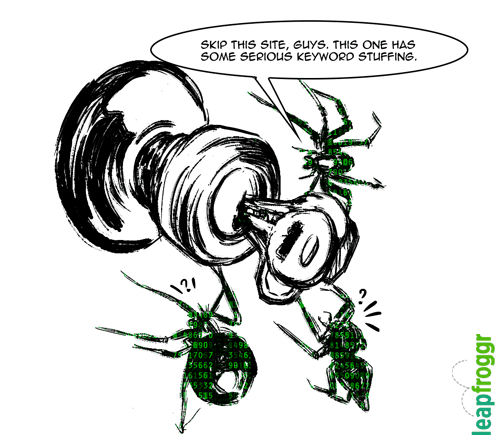 This is pretty much how search engine spiders feel about keyword stuffing. Usability – Usability refers to how your e-commerce website would make your user experience a more enjoyable and convenient one. This includes quick navigation to pages, an increased page loading speed, and quick check-out processes. By making your site useful for users, people are more likely to visit your site, and this will increase the traffic to your page. Social Media – Make sure to integrate all your other social networking profiles with this e-commerce website. This will increase your visibility online, and it will make your company and products easier to search. Using Google+ if you have a physical address, would be very helpful to get them find your offline store, check reviews and more. Facebook marketing will give you a lot of exposure. Pinterest promotions will send you a lot of high quality traffic. Integrating Twitter marketing can get your products out there instantly. 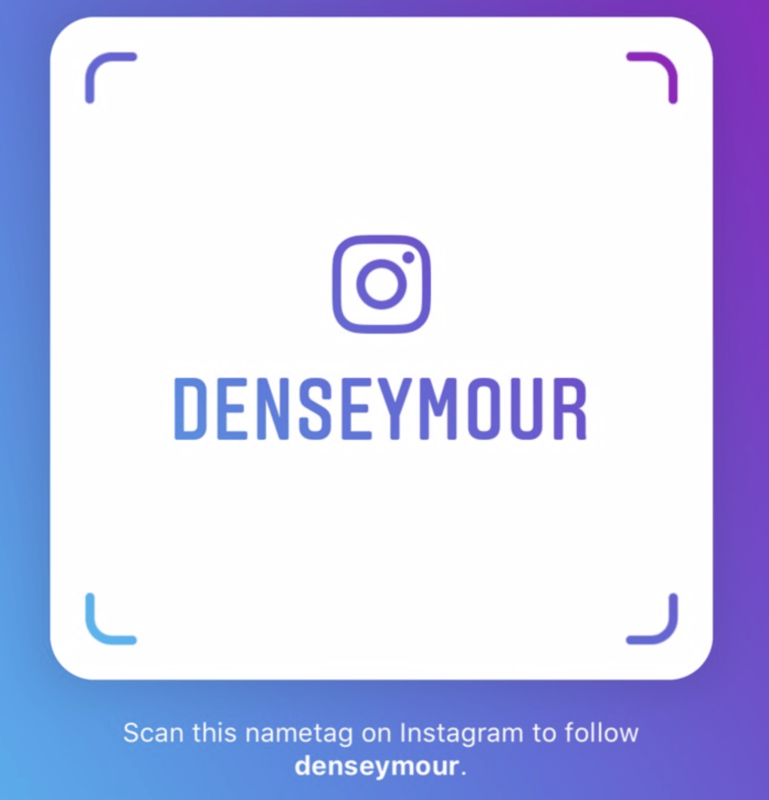 Even Instagram can be used to further your reach. Structure – It is often recommended that you go for a flat architecture when building your website. One benefit of this would be that your viewers wouldn’t have to click so many links just to get to a page. This increases your usability factor and increases the flow of link juice. In structuring your website, it is important to take advantage of internal links, which use anchor texts that are actually keywords. 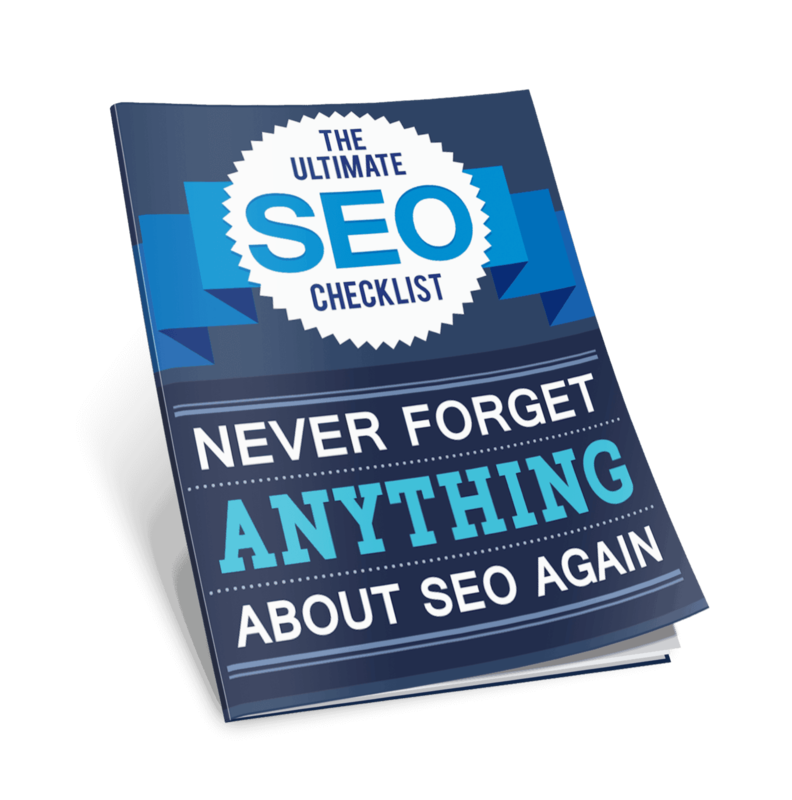 Rich Content – It is already a given that high-quality content is prioritized by search engine spiders. Ensuring that all the content of your website (from your posts to your product descriptions) is informative and useful will increase your chances of getting on the first results pages. Combining high-quality content with keyword optimization is an effective method to boost page rankings. You’ve probably seen their “Will it Blend” videos. 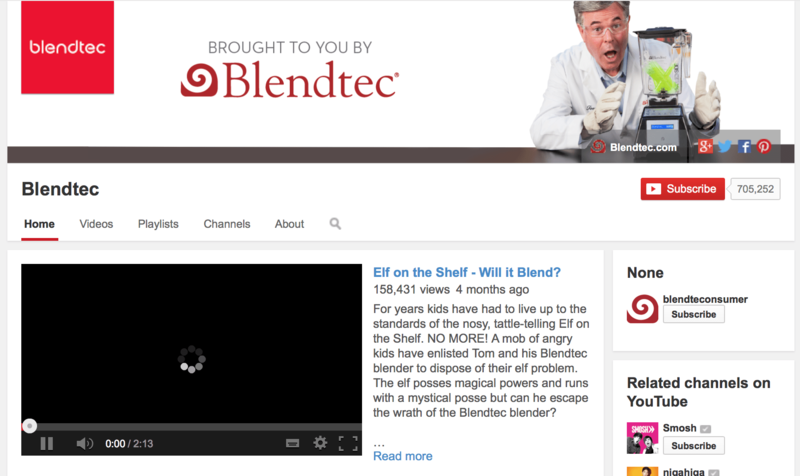 Yes, we want those blenders. Other E-commerce brands rely on Youtube Videos as part of their marketing. Depending on your product, you can make great video content and market that along with your site. You might have the chance to rank your video and your site so that takes up two spots in Google’s search results. For more SEO tips, join our new digital marketing community on Google+. It is true that the Internet has opened a lot of doors for aspiring businessmen, and e-commerce is simply one of them. This new industry helps millions of users buy and sell from the Internet within the comforts of their own home. These transactions also promote cashless shopping, which is more convenient for those who prefer using their ATM, credit, and debit cards to settle accounts, rather than shell out cash. For businesspeople, setting up an e-commerce website gives them the chance to use the Internet to gain more customers and promote their brands. It opens up opportunities that traditional media normally wouldn’t be able to give them. Today, it is quite easy to create an e-commerce website, whether you will be relying on hosts, social media, or your own knowledge and skills. The key to success lies in maintaining your e-commerce site properly, taking advantage of SEO techniques, and of course, using the website to meet your clients’ needs as well as yours.